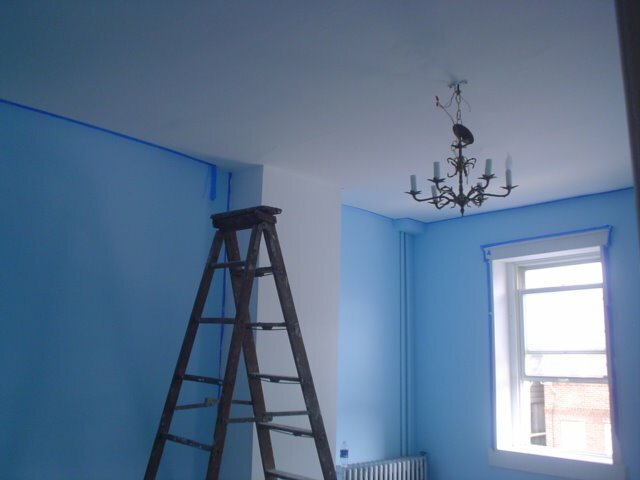 This is what the Master Bedroom looks like after we painted the walls and hung up the chandelier. I bought the vintage Spanish chandelier on ebay for $75 (and it had all the original crystals). I love the windows throughout the house. They are big and let lots of light into the house. All the moldings in the house are original pine or new pine that we installed. Some of the old wood had rotted so they had to be replaced. The old doors and old molding that we kept had to be stripped of the old paint before they could be re-painted. We hired someone to strip the old paint because it was far too tedious of a process. We also replaced all the hollow faux wood doors in the house with solid wood doors. I don’t understand why all the doors these days are hollow plastic and why all the moldings are plastic. They look really bad and it doesn’t cost that much more to get real wood. 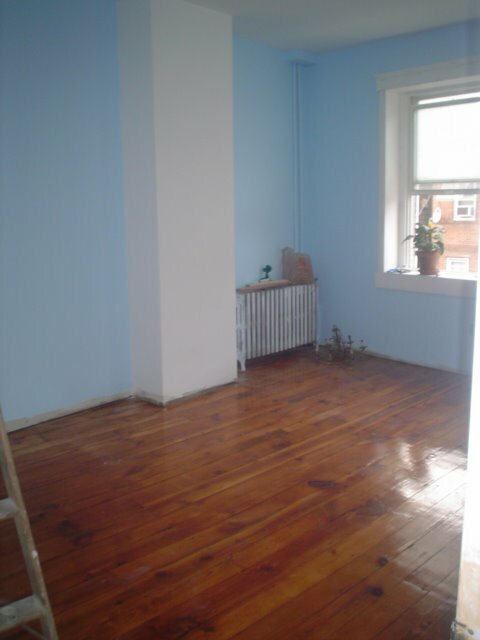 This picture below shows the original pine floors that were sanded and re-finished. 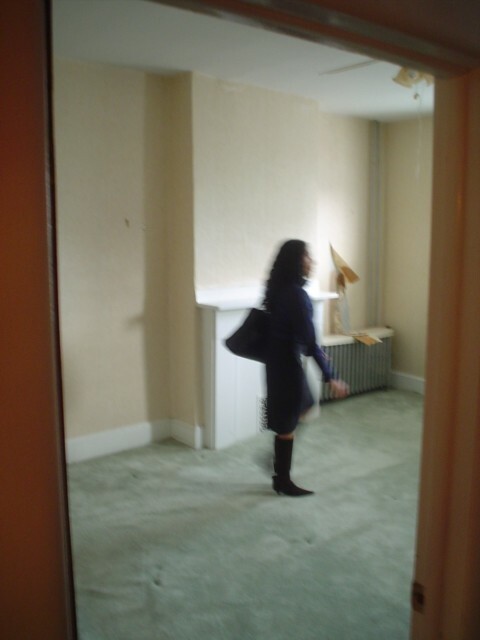 This floor was covered in greenish carpeting and beneath the carpeting there were two layers of linoleum tiles. The first layer of linoleum was made to look like wood…I am totally baffled that someone would want to cover up these amazing floors with something that looked remotely like wood! There were three layers of wallpaper and crumbling plaster behind the wallpaper. It took us an eternity to remove the wallpaper and re-plaster the walls. The side of the wall that can not be seen in this picture is beautifully curved. I will post some pictures this week showing what the bedroom looks like now.